Your body wants to heal itself. It requires help from a professional to find the source of the pain and get on the path to healing. Experience, education and professionalism is what I look for in a massage therapist because those are my strengths. I have had the benefit of an extensive education and enough experience with clients to know what techniques work best. I will listen to your concerns and preferences and work hard to help you get out of pain or just help you to relax and feel better in your own body. 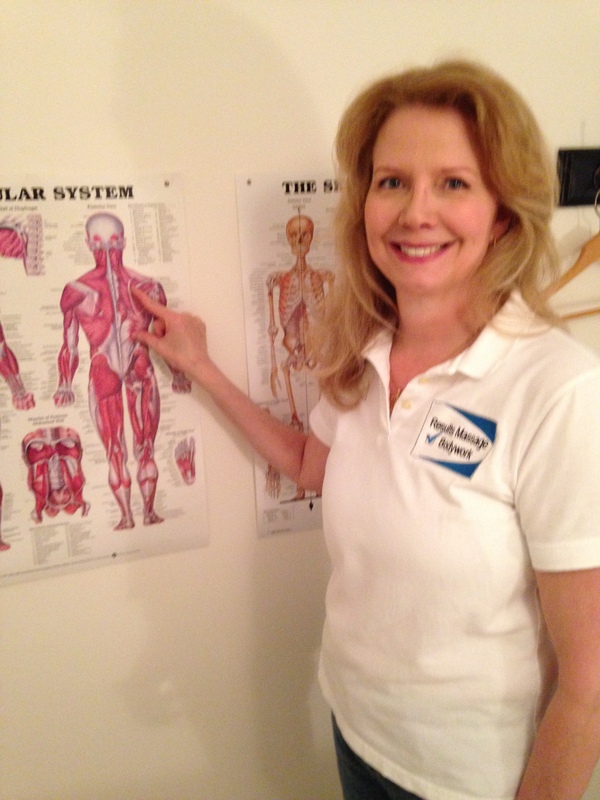 The following are some of the conditions I have successfully treated: Back, neck and shoulder pain, tennis and golfers elbow, plantar fasciitis, headaches, carpal tunnel syndrome, sciatic nerve pain, tendonitis, frozen shoulder, piriformis syndrome, including TMJ disorder. Clients with Parkinsons, MS, ALS and cancer have reported feeling empowered and sleeping better after a relaxation session. When someone is grieving a loss, either losing someone to death (or any other type of loss) it is an illness of the body, mind and spirit. Relaxation massage helps the bereaved in countless ways. Feel free to call me if you would like more information. I look forward to working with you. Results Massage is an appointment only destination. Please call (704) 292-8056 now to book your appointment. Massage for the whole family.